Paul Manafort, the longtime political consultant who once led Donald Trump's presidential campaign, asked a federal judge for leniency Monday as he faces the potential of spending the rest of his life in prison in criminal cases stemming from the Russia investigation. 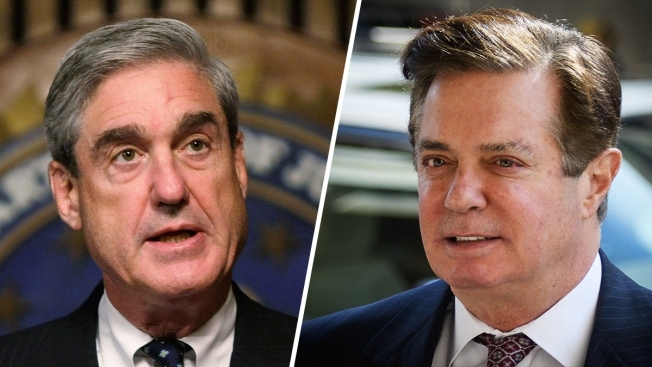 In a new court filing, Manafort's attorneys described the 69-year-old as a victim of circumstance, prosecuted by special counsel Robert Mueller only because the government couldn't make the case that he colluded with the Kremlin's interference in the 2016 presidential election. They also dismissed prosecutors' characterization of Manafort as a hardened criminal, saying he was merely a wealthy consultant who committed "garden variety" crimes by illegally lobbying for Ukrainian interests and hiding millions from the IRS. "The Special Counsel's attempt to portray him as a lifelong and irredeemable felon is beyond the pale and grossly overstates the facts before this Court," they argued, noting that the prosecution has "devastated him personally, professionally, and financially." The lawyers' arguments echoed much of the criticism leveled at the Russia investigation by Trump, who has increasingly cast the probe as a politically motivated "witch hunt" even as Mueller has methodically brought charges against six of his associates, including his former personal lawyer, his one-time national security adviser and a longtime confidant. The filing also comes as Manafort's attorneys have sought to contain the fallout from the unraveling of his plea deal this month. Manafort pleaded guilty last year to two felony counts— conspiracy against the United States and conspiracy to obstruct justice— related to his illegal lobbying. The plea came after a jury in a separate case in Virginia convicted Manafort on eight financial charges involving the hiding of millions of dollars from the IRS that he made overseas. As part of the plea agreement, Manafort agreed to cooperate with federal prosecutors, but late last year, Mueller's team said he had lied to federal agents and a grand jury. In a ruling earlier this month, U.S. District Judge Amy Berman Jackson, who will decide Manafort's sentence, agreed. She found that he had lied about several subjects, including his interactions with Konstantin Kilimnik, a business associate who the U.S. says has ties to Russian intelligence. 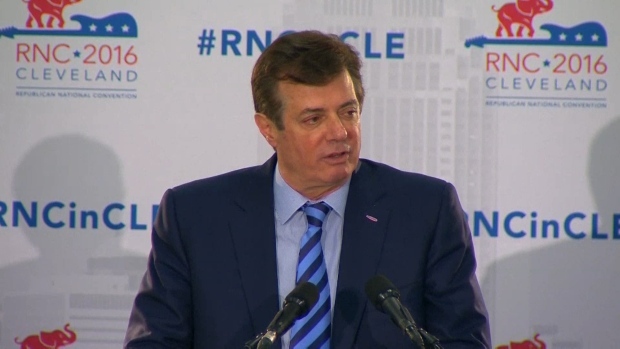 Manafort, who has been jailed since June, hasn't been accused of any crimes related to Russian election interference, but court papers have revealed that Manafort gave Kilimnik polling data related to the Trump campaign during the 2016 election. A Mueller prosecutor also said that an August 2016 meeting between the two men goes to the "heart" of the Russia probe. The meeting involved a discussion of a potential peace plan between Russia and Ukraine, but many other details about it have been redacted in court papers. In the filing Monday, Manafort's lawyers asked Jackson to choose a sentence that is "significantly below the statutory maximum" of five years on each count. They also asked that any sentence run at the same time as any prison time in the separate case in Virginia, where he faces the possibility of more than 19 years behind bars. Even as Manafort's lawyers said their client takes responsibility for his actions, they sought to downplay his crimes, noting that his conduct, "while certainly illegal, unquestionably falls on the less serious end of the spectrum of federal felonies." In the witness tampering allegations, for example, they agree it was improper, but they stressed that Manafort didn't offer the witnesses bribes or threaten them with physical harm to give false testimony. Regarding the illegal lobbying, the attorneys argued that such cases are rarely prosecuted and, but for Mueller, their client likely would have avoided indictment. Manafort's case "involves a magnitude of harshness previously unknown in the enforcement" of the statute known as the Foreign Agents Registration Act, they wrote. The sentencing memo also portrays Manafort as a hard-working professional who came from humble beginnings and went on to serve as an adviser to four presidents and lead the successful Trump campaign for several pivotal months in 2016. It includes personal letters and anecdotes describing him as a devoted family man and describes some of his international work in glowing terms. The memo contends that Manafort persuaded Kenya's former president in 1989 to publicly burn millions of dollars' worth of ivory obtained by illegal elephant poaching — an event they said was featured on the cover of Time magazine. The lawyers also implored the judge to consider the toll of incarceration on Manafort's well-being. Manafort was relatively healthy when he was taken into custody, but he has deteriorated rapidly since then, his lawyers say. He requires a wheelchair and cane, has severe gout that causes pain and swelling in his foot and takes medication for health ailments including high cholesterol, high blood pressure and arthritis. Doctors also recently diagnosed a "potential thyroid problem," they noted. "Mr. Manafort has been punished substantially, including the forfeiture of most of his assets," the lawyers said. "In light of his age and health concerns, a significant additional period of incarceration will likely amount to a life sentence for a first time offender."